BlueHost vs HostGator: Which is the Real Winner? BlueHost vs HostGator. Probably one of the greatest arch-nemesis in the hosting industry. Just like the Puma vs Adidas or Samsung vs Apple. And it’s real tough for the users to which one to go for. Both had equal number of fans and haters at the same time. Both the companies claim the superiority of the one over the other. Though there are several other hosting companies, BlueHost and HostGator have enjoyed a higher percentage of users than the others. Choosing one out of the two is really a tedious task. but the main thing is–there’s no clear winner out of it. Both have it’s very own share of pros and cons which make it cater to a specific audience. But still, we will judge both the hosts on the basis of certain factors and find out which one’s the best (based on the factors). Bluehost has been one of the oldest and trusted hosting providers out there. It was founded in 1996 by Matt Heaton. It provides one of the best hosting services based on LINUX with more than a million happy and satisfied customers. In 2010, a major landmark decision took place. It was brought by EIG for a whooping 185 Million Dollars. After its acquisition, EIC injected 20 Millions into the company to set three of their very own data centres! HostGator has been on the hosting scenario from quite a long time. It was founded in 2002, and has got over 1000 employees and more than 5 million users! Apart from shared hosting, they also offer VPS hosting, dedicated servers based on both Windows and Linux, re-seller accounts. But, unlike BlueHost, it hasn’t got its own servers. Instead depends upon a third-party service named SoftLayer. BlueHosts offers a single all-in-one hosting plan compared to Hostgator’s three. HostGator has got three plans to attract clients with different tastes and needs. The three plans are–Hatchling, Baby and Business. Features depends upon the type of hosting you choose. Both the hosts supports variety of web languages such as Python and PHP and CMS like Joomla and WordPress. BlueHost provides free domains, whereas HostGator doesn’t. The hatchling plan offers only a single domain and website. Bluehost provides SSL support, even hostgator does, but you have to go for the Business plan then. Unlike HostGator, BlueHost doesn’t provides any monthly-based subscription. You have to pay once at a time for a whole year. But the plan translates roughly to 4$ per month whereas Hostgator’s hatchling plans start at 4 dollars too but offers very less features compared to Bluehost. Hence, BlueHost has a little edge when it comes to pricing. BlueHost, as we mentioned earlier has got over 3 of their very own servers and guarantees 99%% uptime. On the other hand, HostGator isn’t far either. The servers used by HostGator too guarantees 99% of uptime. Both of them claim crash-free servers but does experience down-time though not very frequent. Along with the servers, both of them have got a professional team which monitors the down-time carefully thus giving both of them edge hear. To cater to their customer’s needs ad queries, both of them have developed a wonderful team which helps users to clear out their doubts and queries. Both of them guarantees a 72-hour reply period, meaning you will get your queries cleared out by 72-hours. But usually you get to hear from them within a day or two! (when it’s business days). Both of them had a very helpful and responsive team, always at your service to help you out. Performance is what separates BlueHost and HostGator from the other hosting providers. They offer a kickass and power-pack performance because of powerful support from AMD Opteron 6000 series CPU and an equally powerful DDR3 Ram to assist it. Not only it makes sure you constant speed, but also takes care that you get high-speed to decrease load time. Both of them have state-of-the art data centres which gives both of them an edge here. I would like to say that both of them are best in their very own ways. There’s not much difference between their plans. 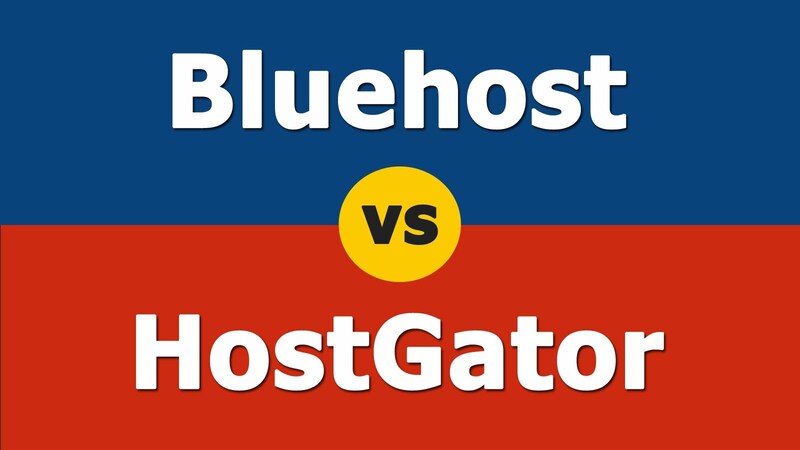 In a tough fight between hosting world’s two biggest names, I think BlueHost defeats HostGator by a very (very) close measure.